Prominent & Leading Manufacturer and Exporter from Pune, we offer Braking Resistors such as Dynamic Braking Resistors and Braking Resistors. Our clients can avail from us, a flame proof gamut of Dynamic Braking Resistors that find wide application in the electrical industry. The Braking Resistors are ideal for indoor or outdoor application as the resistors are available in custom built standard version. 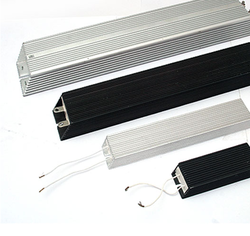 Additionally, customers are eased with the availability of the Dynamic Braking Resistors in varied specifications. We have acquired proficiency in developing and offering our clients with a specially designed range of Braking Resistors that is widely used in varied industry verticals. The Braking Resistors are ideal for indoor or outdoor application as the resistors are available in custom built & standard version. Looking for Braking Resistors ?